After missing the 1973 Masters (the only Masters he missed in 53 years!) Gary Player came back with a vengeance and claimed the 1974 Masters title. It was Player's second of three Masters titles, and his seventh of nine Majors. 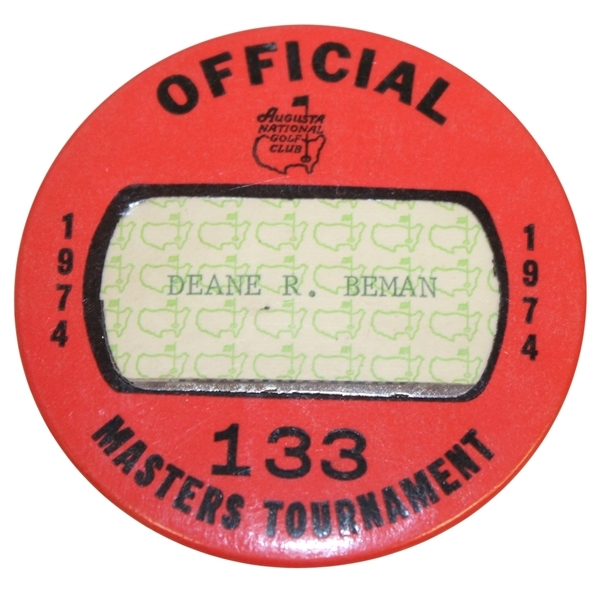 Offered here is Deane Beman's official badge #133 from the 1974 Masters Tournament. It is 2 1/2" in diameter and comes in excellent condition. 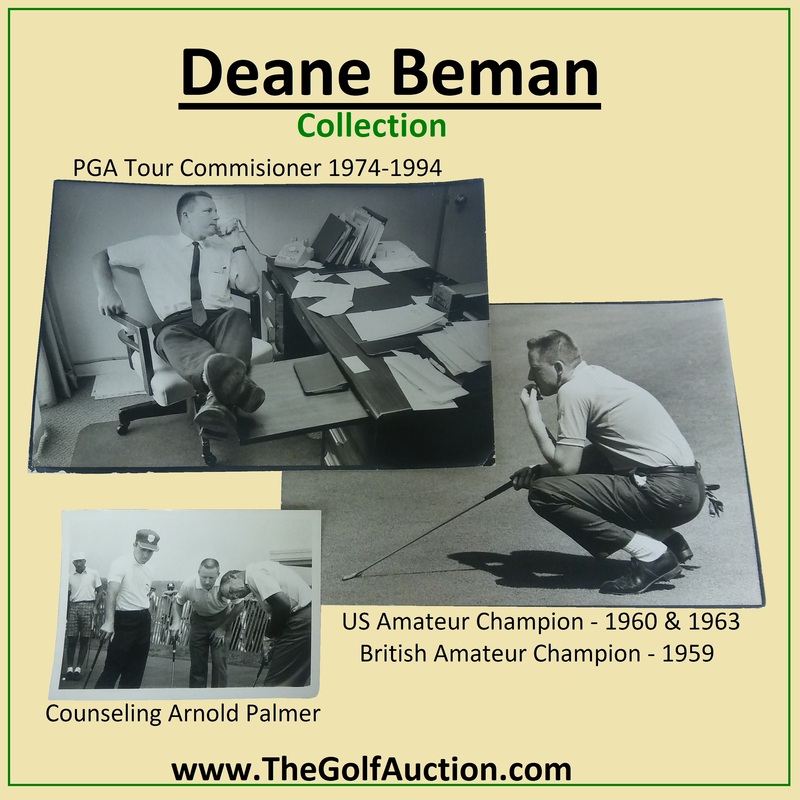 Deane Beman was a member of the World Golf Hall of Fame's Class of 2000, selected for his Lifetime Achievement in golf. It would be difficult to find someone who better fit that criteria then Beman. As a player, he won four PGA TOUR titles, a pair of United States Amateurs, The Amateur Championship and competed on four U.S. Walker Cup teams. Following those successes on the course, Beman served the game at it's highest level as PGA TOUR commissioner for twenty years from 1974-94. During this time the tour's assets grew ten fold. A true visionary of the sport, Beman ushered in the creation of the Senior PGA TOUR (now referred to as the Champions Tour). He also created the Ben Hogan Tour (now called the Web.com Tour). His dream of Stadium Golf would become a reality in the TPC Stadium Course at Sawgrass followed by widely successful similar products around the United States. A crowning achievement to his contributions to the game came in May of 1998, when another of Beman's ideas became reality when the World Golf Village, home of the World Golf Hall of Fame opened in St.Augustine, Florida. The World Golf Hall of Fame honors golf's greatest players and contributors. Deane Beman recently contributed a significant part of his collection of career golf mementos to the World Golf Hall of Fame. He recognized the many benefits this organization affords to furthering the game of golf through the preservation of its rich history. 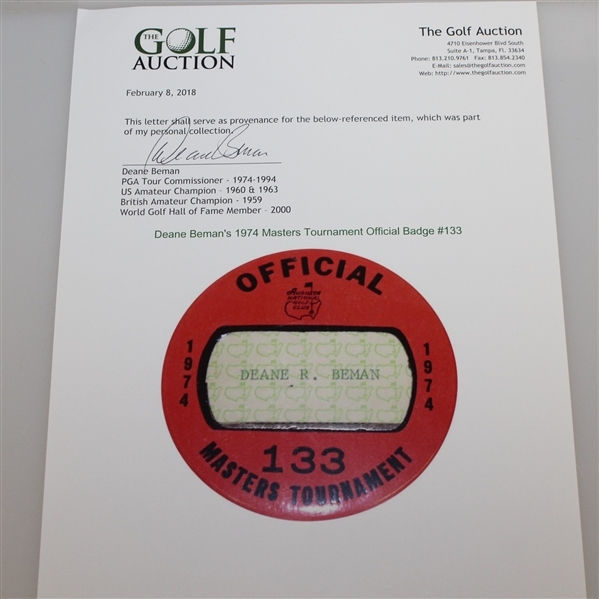 While making this contribution his wish also was that a small portion of items would be auctioned through The Golf Auction with 100% of Mr. Beman's proceeds being donated to the World Golf Hall of Fame. 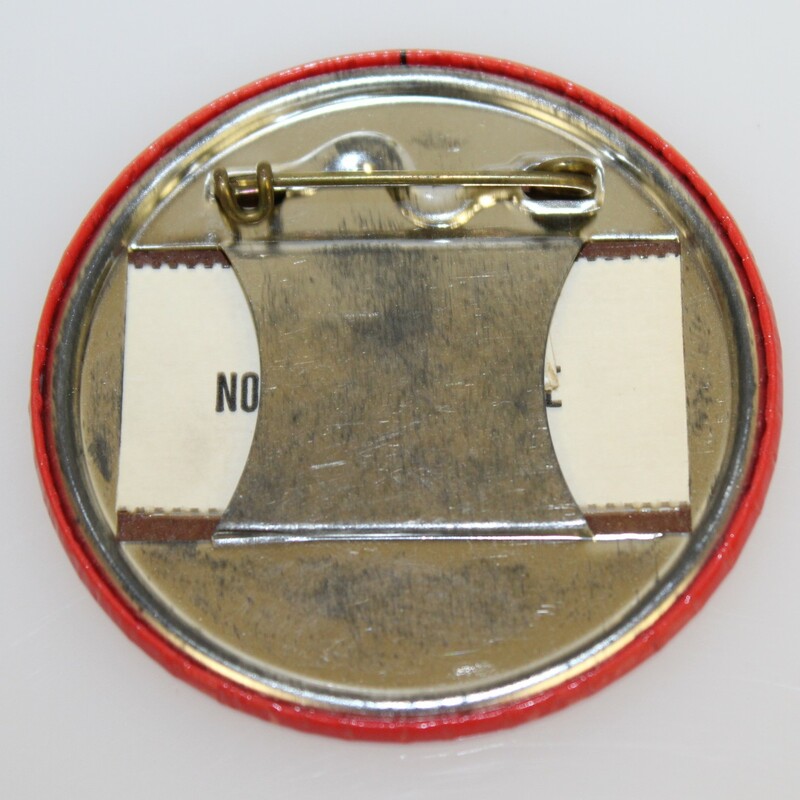 A letter of provenance from Mr. Beman will accompany this item.